CleaningSeo is proud to announce another fantastic contest for our worldwide fans. Its very simple and only takes less than 5 minutes to enter. Contest Ends Thursday October 31, 2013 at 11:00am Eastern standard time. Step 1: Add our banner below anywhere on the home page of your website. Right click on the image and save to your computer. Step 4: Include your website address, phone number, and a brief description of your cleaning business. Step 5: One of our representatives will verify the banner on your website, and then we will provide you with the free advertising below! 3) We will send out an email blast to over 5000 members of our mailing list promoting your cleaning business including your phone number, and website. We will pick the winner next week and email the winner requesting the info for your new video. 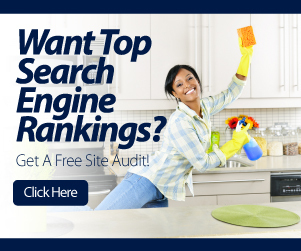 Another awesome CleaningSeo contest… Join now don’t wait or you will miss out!! !